In this Museum one can find a collection of maritime uniforms and tools they used to use for s ailing, there is also a miniature model of the Titanic, and a letter that Sir Winston Churchill had written and which contains also his signature. The Kelinu Grima Maritime Museum has among its exhibits some of the rare and priceless items like authenticated pieces of timber from Lord Nelson’s flagship, HMS Victory as well as the first U.S. warship USS Constitution together with one of Lord Louis Mountbatten’s gold epaulette, which he wore during his duty in the Mediterranean. It is situated just few minutes away from the Hotel. 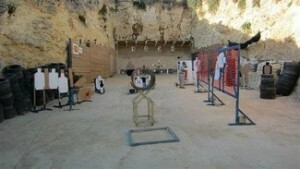 The Gun Blast Shooting Range is a newly born shooting organization, which is the first leg al shooting range in Gozo. Target shooting is a unique and exciting sport which is enjoyed by the young and old alike, both sexes can compete on an equal footing. Major goals of the Organization are to promote and manage the development of amateur sport shooting in the country. The Organization is authorized for training and to organize and supervise shooting competitions on the local and national level. Certified and qualified instructors hold courses on such subjects such as pistol safety, pistol parts & operation, shooting fundamentals, ammunition, skills for operating a pistol, shooting positions. This shooting rangle is situated 15mins away by car from the Hotel.